The Witness is busy at work drawing. In 2046, Jones talks to her staff about time and how it doesn't concern itself with good or evil. Jones says their sins define them. The Witness's drawings are collected by Sebastian his teacher. In 2046, Jones says that the fact that the Witness so young presents an opportunity; however, it means killing a child - a man with a certain future and the architect of their destruction. Jones is adamant that the Witness is not innocent because the boy is the man. One life in exchange for 7 Billion creates an obligation. "No god shall forgive us this sin, perhaps none should for that all we have is each other and the great absolution of time that they we might never have sinned at all", Cassandra professes to her group. The big plan is to disable the guardians unique advantage. Jones proposes to create a window and splintter to 1953, to the Witness's safe house and engage the Monkeys there. This will mean shutting down the Witness's team's ability to splintter away to safety. Jones explains that the suit comes with danger but the risk is necessary. Cassie however is certain that she cannot go and instead talks about her mother dying of an embolism with Cole. Cassie reveals she turned down an offer to go to a museum with her mother and this was their last moment together. Cassie doesn't know who her son is but she cannot have someone that she's supposed to love, look at her like that again, even if afterwards it will never have happened. Cassie is certain that for her it will still feel real. Cole comforts Cassie but suggests that they should still go in together to make a difference. Cassie points out that if they reset time, they will never have met and their son will never have existed. Changing the past means eradicating the future. When Cole leaves the room, Deacon witnesses him punching a wall in frustration. Deacon goes to find Jones, who is deep in her cups, thinking about when she was struggling to perfect the splinnter machine. Deacon drops the news that Cassie has declined to participate in the mission and that Cole has been quiet. Jones is nonplussed because she sees this as a difficult mission for a doctor and there's the fact that Cassie spent months in captivity. Deacon is suspicious of the fact that when Ramses died, Cole didn't jump into the spinnter machine to change the past, despite the fact that they saw each other as brothers. There's also the issue that Cassie led them to Titan, where they were just waiting to lock her up. Deacon is convinced that Cassie and Cole have a secret. It's time to get moving and the first setup is to splinter to 1953 to steal the EMP before the monkeys can. Cassie watches as the team enters the machine. A Christmas party is in full swing when the team arrives. Cole tasks Jennifer with cozying up to a scientist, so that they can sneak into a lab. Seduction is clearly not Jennifer's strong suit. It's awkward as hell but Jennifer manages to talk someone into giving her a tour of the lab. Luckily for Jennifer, the scientist that she approaches is so socially awkward that they pair off okay. Cassie asks Jones for a favour and suggests that causality won't matter if the mission succeeds. Cassie argues that she has given so much and has yet to ask for anything. Jones does indeed capitulate to Cassandra's request. The moment Cassandra leaves however, Jones has the team scouting the location of one of Cole's former missions because she wants to find a secret. It looks like Jones was paying more attention to Deacon than she let on. Cassie burns the witnesses map and then turns to meet with her mother of all people. It looks like Cassie has used the splinnter machine to deal with the regret she had about not having one last day with her mother. Cassie has turned to her mother to analyse the witness's drawings. Jennifer is getting the tour from the scientist when Cole sneaks into the room and knocks him out. They begin to talk about the Witness and Jennifer says that Cole can change his mind. Cole is in a really dark place and calls himself a murderer of men, women and children. For the first time, Cole confesses to killing Ramse and now all he wants is for everything to end. Cole is so far gone that he isn't even interested in forgiveness anymore. Cole doesn't believe that Jennifer sees who he really is. Cassandra hands over the witness's drawings and notes to her mother for her clinical opinion. Dr. Railly talks about how broken the Witness is and Cassandra is absolutely fascinated with her process. Dr. Railly focuses on the requiem of 1827 and the number of brilliant outsiders type geniuses who died that year. Dr. Railly concludes that the witness is exceptional, damaged and uncertain of whether he is who he is, or was made to be this way. The Witness has made drawings of a man who looks like Cole pointing a gun. Unfortunately for Sebastian, hiding them from the Chosen Woman turns out to be a problem. The Chosen Woman reminds him that it's his job to educate the Witness in things like Maths and Geography and her job to turn him into what he's meant to be. The Chosen Woman warns Sebastian that should he step out of his lane one more time, that she will erase him. When the young Witness happens upon this exchange, the Chosen Woman becomes all sweetness and light, telling him to change into his Sunday best for tonight's ceremony. Dr. Railly continues her analysis of the Witness's work. She feels that he hates what he believes to be true. The Witness is dressed and is told that he will offer the future to his chosen people. This time, the Witness declares that he shouldn't do this again and doesn't want to harm anymore poor souls. The Witness is told one day he will control time and has no choice but to move forward. Dr, Railly grabs her hand in pain and reveals that she has a terminal condition. Dr. Railly is convinced that her daughter (read: Cassie) knows, even though she hasn't told her. Dr. Railly questions if Cassie has children and who really wrote the document, forcing Cassie to reveal that the author is her son. Jennifer is still trying to talk Cole down. Apparently, Cole's eyes don't lie and that's how she knows that he is a good person. Jennifer and Cole meet up with Whitley and Deacon. Things hit a snag when an alarm goes off as Deacon hotwires a car. They make their way out of the facility by bursting through the gate. Cassie and her mother continue to talk about the Witness and Cassie explains that this (read the drawings) is all she knows about her son and the things that he's done. Cassie admits that her child's actions are horrible. Dr. Railly calls the Witness's document a work of art which reveals pain, anger, despair and hope. Dr. Railly reveals that the work reveals what the Witness is and not what he wants to be. The team lands at the Witness hideout. Cassie and her mother now sit and share a glass of wine together. Cassandra suggests that Dr. Railly should drag her daughter to the museum whether she wants to or not. Cassandra stands to go and Dr. Railly suddenly believes that she recognises Cassie. Cassie ends the questioning by embracing her mother tightly. Dr. Railly's final piece of advice is to never give up on family. It turns out that Cassie changed time when she went to visit her mother because she now has a memory of being with her mother at the museum. Cassie, who is at peace now splintters back to 2046 and asks Jones to be sent to 1953. Instead of a warm welcome, Cassie is greeted with Jones pointing a gun at her, saying that it's time they had a talk. Jones suggests that they need to talk mother to mother. Cassie tries to claim that Jones doesn't understand. Jones reveals that she traveled back in time to see Cole kiss Ramse and learned that The Witness is Cassie and Cole's child. Whitley gives orders on the pending breach by the team. Cassie asserts that the Witness can be saved and begs Jones because it could be too late. Jones however is not moved and makes it clear that they are going to stay in the room until the end of time. Cassie apologises and then goes on the attack. Cassie manages to grab a splintter suit and escape. The assault has begun and the team breaches the house. The Witness realises that his parents have come for him. Deacon shoots the group of the Witness's selected people stunning Jennifer with his willingness to be violent with people who aren't resisting. It's Jennifer who lays eyes on the Witness. Time suddenly stops and Jennifer and the Witness talk about the fact that they are both Primary. The Witness tells Jennifer that one day, she will be the best of them all. Rather than stopping the Witness and Sebastian when time restarts, Jennifer encourages them to flea. Cole catches sight of Sebastian and his son, as outside, Cassie splinters in. Hockley and Hannah gets into a violent fight and though she manages to kill him, Hannah is stabbed in the stomach quite seriously. The Chosen woman confronts Cassandra before she can get into the house and the two women start fighting. The Chosen Woman doesn't hold back as she taunts Cassandra by saying that the Witness foresaw this moment and warned them about it. Cassandra manages to mess with the Chosen Woman's suit, causing her to burst into flames. Hopefully this is the end of this character. Sebastian is now all that's left between Cole and his son. Cole quickly shoots Sebastian and puts a gun to his sons head, just as the Witness's drawing portrayed. Looking into his son's eyes, Cole's resolve quickly weakens and his hand starts to shake. Cole lowers his weapon and crouches down in front of his son. For the first time, the Witness learns that his name is Ethan. Deacon finds Cole with Ethan, forcing Cole to admit that Ethan is his son. Not having the same connection to Ethan, Deacon raises his gun anew. Cassie approaches from behind and shoots Deacon several times. It turns out that Sebastian wasn't quite dead and he sits up, grabs Ethan's arm and activates his splinnter machine, shifting them away. Cole vows to Cassie that they will find Ethan and Cassie reveals that Jones knows about them now so they cannot go back to 2046. Cassie and Cole go rushing out out of the room leaving a wounded Deacon behind. When Whitley enters the room, Deacon warns him about Cassie and Cole. Cassie and Cole both grab splintter vests from the now dead monkeys and inform Whitley, who has caught up with them and Jennifer that they are sorry but this mess is theirs to fix because this is their family. Before they leave, Cole adds that they shouldn't be followed. Hannah has returned and she is bleeding badly from her injuries. So badly, I'm not certain that she survived. Later, an enraged Jones sits with Deacon. Together they make a plan to kill Cassie, Cole and the Ethan. The central question is does Ethan become a mass murderer because he was raised to be by the monkeys or is that truly who he would have become anyway - nature vs nurture. When Cassie paid a visit to her mother, she went to confirm that Ethan could indeed be saved if he was raised by her, rather than the monkeys. I get that this is their son, but goes on to kill billions of people. It makes sense to me that Cole couldn't pull the trigger but to stop someone from doing it to me is a problem. I know that a parent is never supposed to give up but when your kid is the murderer of billions, I think you kind of have an excuse to wash your hands. We also had the war of motherhood between Cassie, Jones and the Chosen Woman. Obviously, only Cassie and Jones are biological mothers though the Chosen one clearly sees herself as one because she is raising Ethan. A lot of the Chosen Woman's taunts against Cassie were to deny Cassie's maternity and assert her own. It comes down to yet another fundamental question is your mother the woman who gave birth to you or the woman who raised you? The answer in this case is clearly both but the 12 Monkeys really isn't interested in nuance as much as it just wants to hammer home that bad guys are bad guys. I am interested by the way that Jennifer and Ethan seem so connected with each other. The fact that he proclaimed that Jennifer would be the best of the primaries asserts her ongoing importance. My issue is what does that pronouncement mean from a serial murderer? Sure, Dr. Railly would have us believe that Ethan is just confused and in pain but I don't know that he's worth that much examination given what he has done and will do. 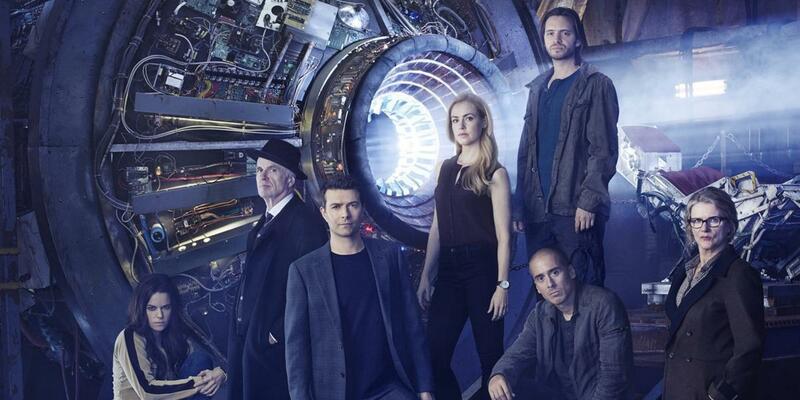 12 Monkeys has now effectively isolated Cole and Cassie from the rest of the crew. This really serves Deacons purposes because he can finally be the go to man that he's wanted to be for quite some time. Sure he had good reasons to question Cole and Cassie's behaviour but at least part of his questioning was based on self service. I don't know how Cole and Cassie are going to make it up with Jones but I hope it's soon because Cole's scenes with Jennifer are priceless and I would hate to lose those if she is forced to pick sides.